Thank you for selecting the City of Poulsbo’s meeting room for your meeting site. Guidelines and procedures have been established to ensure a successful rental for community members, organizations and the city. To ensure a successful rental for all, the following guidelines have been prepared for use of the meeting rooms. Monday‐Friday: 8:00 a.m. to 4:30 p.m.
Daily between the hours of 7:00 a.m. – 10:00 p.m.
Extended hours may be granted at the discretion of the Mayor. The City of Poulsbo has priority for meeting rooms for city business. City of Poulsbo activities, including programs presented by city staff or other organizations affiliated with the city have priority. During public use hours, when meeting rooms are not being used by the city, they are available for use by citizens and organizations gathering to conduct non-profit, civic, community and cultural, educational related activities or business meetings. By opening up the City’s meeting rooms to public use, the City intends to create a limited public forum in which public uses are restricted in a manner that is consistent with the City’s civic mission and that does not allow uses that would interfere with the governmental functions of the City. The City reserves the right to close the meeting rooms to public use and terminate the limited public forum at any time. Although the City will make every attempt to find alternative facilities, the City reserves the right, with the Mayor’s approval, to cancel a reservation and use the facility for City purposes. The City reserves the right to refuse reservations to any individual, organization or event. Meeting rooms are not considered reserved until the fees are paid. Cash, check and credit cards may be used for payment. Please make checks payable to the City of Poulsbo and pay at the 3rd floor cashier at City Hall (or mail to: 200 NE Moe Street, Poulsbo, WA 98370). A damage fee may be billed, for any damage to the rooms/furniture. A City Hall Meeting Room Application must be completed at least five (5) days in advance. Meeting rooms will not be used for religious worship or other religious purposes, political fundraisers, political advocacy or other partisan campaign events; classrooms as a regular part of any school’s curriculum, or the sale of goods or services. Candidate or ballot issue forums that present all opposing viewpoints are acceptable. Meeting rooms may not be scheduled more than six months in advance (current month + 5 months). Special events may be approved by the mayor up to one year in advance. There is a limit of one meeting per applicant or organization per week, excluding the City of Poulsbo. Exceptions may be granted with the Mayor’s approval for special circumstances. The City Clerk’s Office will review all reservation requests for completeness and consistency. Approved reservations will be accepted on a first‐come, first‐serve basis. A room is not considered reserved until payment has been processed by the city cashier. If a meeting has been cancelled, applicants shall notify the City Clerk’s Office at least five (5) business days in advance of the scheduled meeting. Repeated cancellations may result in loss of use. Fees are non-refundable if given less than 5 days notification or with the Mayor’s approval for extenuating circumstances beyond the applicant’s control. 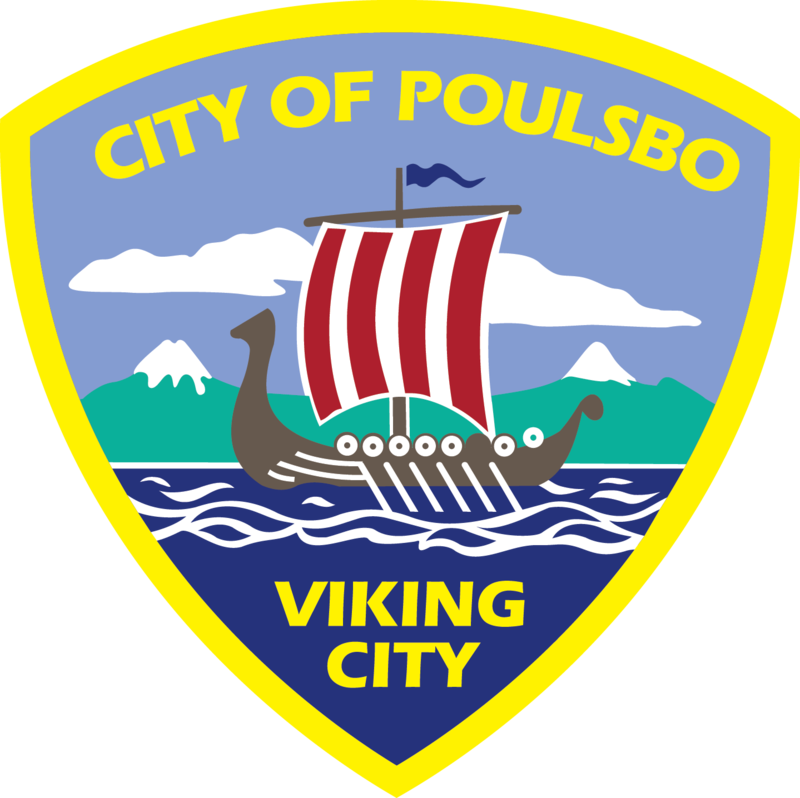 The City of Poulsbo reserves the right to deny or cancel the use of its facilities when it is deemed by the mayor that persons or property might be endangered, that City business operations might be disrupted, that the activity is illegal under federal, state or local law, or when the activity is likely to incite illegal, violent, or otherwise uncivil behavior. Although the City will make every reasonable attempt to find alternative facilities, the City reserves the right, with the Mayor’s approval, to cancel a reservation and use the facility for City purposes. If the city’s audio visual or electronic equipment will be used, applicants must receive training from the City’s IT Department, on its use prior to the meeting. No settings of the audio visual equipment will be changed without prior approval from the City’s IT Manager. Any person whose request for a room reservation is denied or revoked may appeal the denial or revocation to the City Council. In order to prevail in any such appeal, the appellant must demonstrate that the denial or revocation is contrary to the guidelines and procedures set forth above. A responsible adult over the age of 21 shall be present at all times. If children are present, they must be supervised at all times. The noise level in the lobby area during business hours shall be kept to a minimum. Meeting room doors must be closed while conducting meetings during normal business hours. The conduct of the meeting will be respectable and well governed. The sponsoring group/organization will be responsible for the provision of any specific non‐facility ADA required accommodations. Upon completion of the meeting, close and lock all entry doors, exclusive of the doors electronically controlled. No group may consider the Poulsbo City Hall its permanent meeting place, use storage or use the city hall as its mailing address. Set-up and clean-up are the responsibility of the use. Meeting rooms must be returned to their original condition to avoid cleaning fees. Alcoholic beverages are not permitted in this facility or on this property. The use of tobacco products are permitted in the designated smoking area only. No animals/pets are allowed in the meeting room except for guide or service dogs. Use of hazardous materials is prohibited. Prior approval of food and drink in the meeting rooms must be granted by the City Clerk’s Department and must be indicated on the application. All refreshments and drinks shall be consumed inside the meeting room. Applicants are expected to clean the room and leave it as they found it; but an additional cleaning fee may be required for the city council chambers if food is served. Audio visual or electronic equipment is available for public use provided prior training on its use has been received and the AV fee is paid. Prior approval to use the equipment is required. Office equipment such as conference room phones, copiers, printers, etc. is off limits for public use. Groups wishing to bring audio visual or electronic equipment in from another source must have prior approval. Public parking is available in the lower parking garage. If your rental is longer than 3 hours or will contain a large group of attendees, please park in the King Olav Lot off of Jensen Way. Note: There are reserved employee only parking spaces, during normal business hours and should be refrained from parking in. Tables and chairs in each room are available for your use. Furniture must remain in its appropriate room. You are responsible for returning the meeting room according to the posted map. The room shall be vacated by the ending time indicated on the room agreement. No decorations or application of materials to walls or floors are allowed. Corkboards and white boards may be used with the appropriate markers. Applicants are required to remove, at their expense, any rubbish, material, equipment, or furnishings not included with the Public Meeting Room Application. All garbage must be put in proper trash bins. Counter tops and tables shall be cleaned. Debris shall be removed from the carpet.